Brain health is about protecting your ability to think, remember, and have meaningful experiences with people you care about. The aging process can take that all away! You need to know how to protect your memory safely and naturally! If you are like most people the one thing you fear most about getting older is losing your memory and ability to think clearly. Imagine not being able to recognize your family and friends, or remember who you are or what you did five minutes ago. We hear stories about Alzheimer's disease and dementia and assume these things are just a sad part of aging and beyond our control. However, nothing could be further from the truth. You can maintain brain health well into advanced age if you follow a few simple rules. But first...a little background on what causes your brain to falter with age. Our brains have a network of blood vessels just like the rest of our body, and these blood vessels can be subject to the same kinds of damage as well. Whereas when your coronary arteries are damaged you can have heart attacks or strokes, when your cerebral arteries (the ones in your brain) are damaged, the results can be stoke, or various diseases like dementia, Parkinson’s, Alzheimer’s, ect. What causes brain aging and damage? The damage comes from something called "oxidative stress," which involves "free radicals" that damage the walls of the arteries, exactly the same way it occurs in heart disease. Free radicals are produced by toxic substances that pull electrons from the surrounding molecules. This creates a chain reaction of reactive molecules that produces inflammation and damages tissue. We see this process at work in ALL brain based diseases, and the end result is always a steady destruction in a person's quality of life. We could get more technical than this, but... the point of this article is to share information about what YOU can do to promote brain improvement and prevent age related damage to your brain and loss of memory. If oxidative stress and free radicals are the enemy, then we need to prevent these things from damaging your brain. The most important thing you can do is to neutralize oxidative stress and free radicals. Here are some effective and inexpensive strategies that will help you protect your brain health and improve brain function. Look at the list of things below and slowly incorporate as many of them into your lifestyle when and where you can. You don't have to do all of this. I have just given you a list of things that will be beneficial. It is your choice which ones fit into your lifestyle and work for you. Limit sugar intake (including alcohol) – sugar in almost all forms is toxic to the body. If you can keep your carbohydrate grams to no more than 100 grams per day, you will not only help your brain be healthier but you will be thinner as well. Avoid trans fats – Trans fats damage the health of your cell membranes and this puts the vital functions of your cells at risk. Trans fats are also called hydrogenated or partially hydrogenated oils. Nobody should be eating foods that have these substances. They damage your cell membranes and lower HDL cholesterol, putting your coronary AND cerebral arteries at risk of damage! Beware of statin drugs – This is likely to be controversial since many doctors prescribe these drugs to lower cholesterol. However, remember that these drugs also lower co-q10 levels which can interfere with the ability of your cells to make energy. This can lead to serious problems like muscle wasting disease, diabetes, cancer, and even Alzheimer's disease. Before you let your doctor put you on a statin drug, you owe it to yourself to thoroughly research the side effects and decide whether you want to risk your health by using these drugs. A second opinion by an integrative cardiologist would be a good option to be on the safe side. Use "Energy Nutraceuticals" – these nutritional supplements which are part of Dr. Steven Sinatra's "Metabolic Cardiology" protocol will supply the necessary nutrients to help your brain make ATP (adenosine tri-phosphate) which is what powers your brain and entire body. Typically, people who have dementia have very poor ATP production, so by boosting ATP levels, you can slow down and in some cases even reverse brain aging. Fish Oil – can be help you maintain the health of your brain and keep your memory sharp, because it supplies omega 3 fatty acids that your brain and cell membranes need to function properly and also due to it's anti-inflammatory properties. Fish oil that is high in DHA (Docosahexaenoic acid) is especially beneficial to the brain and will help improve your memory and cognitive functions. Get regular exercise – exercise can easily be overdone, and this can take it's toll on your brain health. The best exercise for the brain is short brief interval training. Proper breathing when you exercise is critical, and long workouts are not beneficial because levels of stress hormones rise during long workouts which can damage your brain. Grounding or Earthing – grounding is the practice of establishing an electrical connection with the Earth. You can do this by putting your bare feet on the ground, or using something called a grounding mat or pad, that comes into contact with your body, and allows you to absorb negative electrical ions from the Earth right through your house wiring. Brain games/games to improve memory – these are various exercises for the brain, games, puzzles, ect., that are a real challenge to solve. Your brain is like a muscle in the sense that the more you use it, and challenge it, the better it performs, and the healthier it stays! 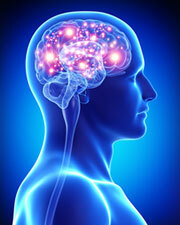 There are many free brain training games on the Internet that you can take advantage of such as Lumosity brain games. These will not only cause brain improvement, but also improve memory, reactions time, and problem solving ability, but they will also protect against brain aging and memory loss. Music and binaural beat therapy – it's long been known that certain types of music are beneficial to your brain function and health. Classical music from the Baroque period such as Mozart, Bach, or Handel are best for this purpose. Gregorian chants are also very beneficial. Mind programming tapes and CD's like H.P.P. from Dr. Lloyd Glauberman, and Hemi-sync from the Monroe Institute are designed to use beneficial therapeutic sound frequencies to improve brain function. There are lots of these things all over the web. Just go to Google and type in "brain age test" and you will see many sites where you can answer questions and get an assessment of your calculated "brain age." Just remember these tests are not necessarily accurate. They are relative measurements and don't take into consideration all of the factors invoked in accurately calculating your brain's real physiological age. Really measuring your brain age would involve seeing a neurologist who uses more sophisticated testing. Choline is a b-vitamin that is critical to brain health, and it's likely that many people don't get enough of it. The main source in our diets is eggs, which many people avoid for fear of cholesterol. The bottom line is that you really need choline and if you don't get enough in your diet. There are some good supplements like Citicholine, Alpha GPC, or lecithin which will help get the choline you need into your system. Choline supplies the brain with what it needs to make the synapses that transmit electrical impulses through the brain and form memories. What I want you to take away from this article is that “dementia” and loss of memory due to aging is NOT inevitable. You can stay sharp and have a good memory for all of your life if you do the right things.